Retweeted 1.2k times and liked by 2.2k users, Bernier’s tweet obviously struck a chord with many, who most likely agreed with what he said, and who ostensibly don’t understand the need for putting money into groups who have been marginalized for centuries. Caesar-Chavannes then replied to Bernier’s tweet: “@MaximeBernier do some research, or a Google search, as to why stating colour blindness as a defence actually contributes to racism. Please check your privilege and be quiet. Since our gvt’t like research, here is some evidence…” And after that, Canadians were in a frenzy, on both sides. Those who sided with Bernier said of the Liberal MP (Caesar-Chavannes), “How could she, a Member of Parliament, be talking about ‘white privilege’ when she herself is in a position of privilege?” Others were glad she called out yet another example of white privilege. After many comments and commentaries written about this situation, Celina publicly apologized to Bernier: “@MaximeBernier I am not too big to admit when I am wrong. Limiting discussion on this important issue by telling you to be quiet was not cool. If you are willing, let’s chat when back in Ottawa. We are miles apart on this important issue and it is possible to come a little closer…”. The $19 million that the government has allocated to Black youth and mental health will be spent over five years to research “culturally-appropriate mental health programs for black youth at risk.” Though the government has not decided yet, exactly how the money will be spent , according to MP and chair of the Canadian Caucus of Black Parliamentarians, Greg Fergus, “the $19 million will […] be tailored to meet diverse needs.” Mental health experts across Canada have commented that the funding will help to improve access to treatment for a large section of the population who has been and continues to be marginalized. Bernier said himself that “We should certainly do everything possible to redress injustices and give everyone equal opportunities to flourish.” We cannot do this while ignoring the realities faced by marginalized communities, which are so often different from those faced by white Canadians. In addition to the $19 million, the government has also set aside $23 million over two years, which will help support cross-country consultations concerning the new National Anti-Racism Strategy. It is vitally important to allocate money to groups of people that have been oppressed for centuries. In Canada, systemic racism and oppression have plagued the Black and Indigenous communities and that legacy continues to this day. That’s why it is so important that employment equity is at the forefront in workplaces across the country. Employment equity encourages workplaces to be free of barriers and conditions of disadvantage and recognizes that marginalized groups have for a long time experienced systemic racism in relation to employment. It’s also important to have people of colour in positions of power and influence, so that people in marginalized groups can see that they are being represented and feel that they have a person(s) in a position of influence to hopefully make things better for their community. The colourblindness ideology is not an effective solution for addressing and solving the systemic racism that marginalized groups have faced in Canada for centuries. The spat between Caesar-Chavannes and Bernier highlighted the lack of understanding on this issue and showcased the need for further education and enlightenment for those who believe in it. Vicky Mochama: Celina Caesar-Chavannes was right. Bernier does need to check his privilege. Canada’s race problem? It’s even worse than America’s. 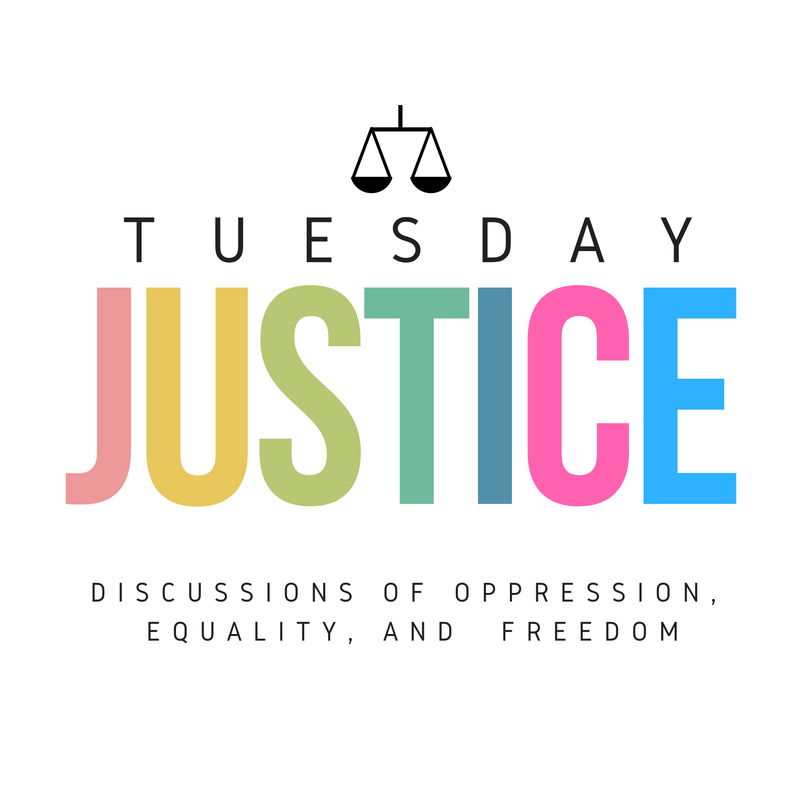 As I thought about how to address Black Panther on the blog, I realized the best thing that I could do is exactly what we always do at Tuesday Justice: provide LOTS of resources! It’s been by reading various articles that I have come to better understand why this film is so needed, so beautiful, and so loved. I’ve purchased advance tickets for a grand total of three films in my life, Black Panther being the most recent. One of the friends I went with told me as soon as the credits rolled, “You have to do a Tuesday Justice post on this!” (At least, that’s how I remember it. I was still reeling from the overwhelming beauty of the whole thing.) My first thought was, “But how? !” How do I, especially as a white woman, write about what this film means? How do I try to communicate its importance? There were so many issues that the film touched on that we talk about here (modern slavery, historical slavery, mass incarceration, immigration, refugees), but I wasn’t sure I was up to the task. First and foremost, I wanted my dear friend and Tuesday Justice co-founder to share her thoughts on the film. As a proud black woman, passionate about her heritage, I couldn’t wait to hear her reaction to the film. She graciously agreed to type it up for us! As I continued to think about other ways we could talk about Black Panther here on the blog, I realized the best thing I could do is exactly what we always do at Tuesday Justice: provide LOTS of resources! As a “colonizer,” it’s been by reading various articles and editorials that I have come to better understand why this film is so needed, so beautiful, and so loved. Like Channon, I arrived at the movie theater 45 minutes early with my crew. We didn’t have a photoshoot beforehand, but I did manage to sneak a (terribly lit) selfie with the stunning Nakia (Lupita Nyong’o). And it really did feel like something special from the time we stood in line to the very last tag scene. And after three viewings, it still feels like there is so much more for me to unpack and understand. Admittedly, I’ve not read every single article on the list, but the ones that I’ve read (or watched) and that have helped me the most are listed first (with excerpts). The remainder are listed below and categorized, thanks to Dr. Mitchell. Black Panther Is the Most Feminist Superhero Movie Yet (Yes, including Wonder Woman.) by Aisha Harris for Slate – Moving as it was to see so many little girls dressing up as Wonder Woman, the fact that Black Panther has a wider variety of Wakandan women is a crucial step toward truly progressive feminism on screen. But this next one was far and away, THE BEST…. Is Michael B. Jordan’s Killmonger Marvel’s Best Villain Yet? Did Black Panther Reveal An Important Development For A Key Marvel Hero?